For anyone wanting to develop their full spiritual potential, Krishna consciousness, there's nothing that compares with associating with devotees of Krishna. Plants grow best in fertile soil, and our natural spiritual consciousness grows when we keep company with spiritually minded persons. Krishna consciousness is contagious, and the more time we spend in the company of Krishna conscious people, the more likely we are to "catch" it. Conversely, every aspiring spiritualist is advised to minimize their contact with worldly-minded, materialistic people who have no interest in spiritual life. Just as a person who desires to improve his tennis will seek out tennis experts and enthusiasts, so a person interested in spiritual life will want like-minded friends. But where do we find them? And even if we meet students of self-realization and God consciousness, does it mean we will automatically develop loving friendships with them? The scripture states, “Seek and you will find; knock and the door will be opened to you.” And so it is with spiritual friendships. The surest way to find God conscious companions is to join with the topmost pure devotees, saints, and sages. Although most of them lived many centuries ago, we can be with them now in their writings, their teachings, and through their living followers. Although the pure devotees of a past age are not walking the earth today, we can become kindred spirits with them and benefit in a very personal way in their association. "If one stays near a pure Vaishnava [devotee of Krishna] for some time, one can receive the bhakti [devotional energy] flowing from his body. If one can bind that energy within one’s heart, after one develops strong faith bhakti will develop…. Thus if one lives close to a Vaishnava, devotion will soon appear within one’s heart." When we are not in the presence of a spiritual friend but we associate with him by hearing and following his instructions, that is called vani. Of the two, the experts state that the vani form of relationship is stronger and everlasting, whereas vapuh, although especially sweet, is subject to time, death, and other forms of human separation. Either in the form of vapuh or vani, spiritual friendships are very influential. As one Vedic teacher said, “Association is very important. It acts just like a crystal stone, which will reflect anything put before it.” The influence we receive through teachings and writings can act negatively or positively. 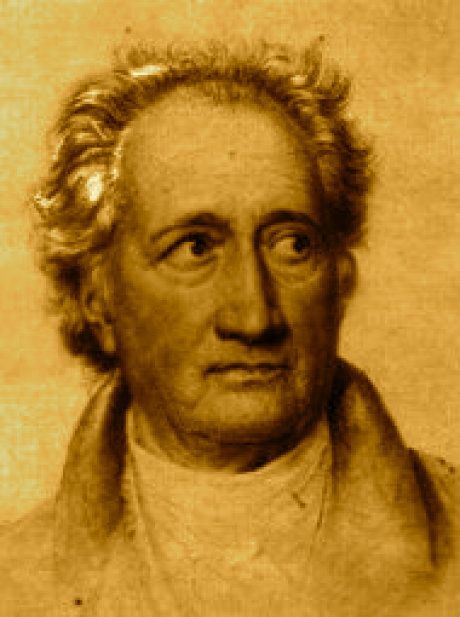 For example, the nineteenth century German poet Goethe poured out his youthful anguish in a novel, The Sorrows of Young Werther, and the tragic result was that several young men committed suicide after reading Werther. As submissive readers can become degraded or doomed by poisonous writings, so the opposite is true: we can gain the highest goal of life, revival of our blissful, eternal relationship with God, by faithfully associating with pure souls through their biographies or recorded teachings. "The symptoms of a sadhu are that he is tolerant, merciful, and friendly to all living entities. He has no enemies, he is peaceful, he abides by the scriptures, and all his characteristics are sublime." In The Nectar of Instruction, written in the sixteenth century, Rupa Goswami analyzes devotees in three categories and advises us to honor all devotees. He describes the neophyte class as those who sometimes chant God’s names but don’t strictly follow all the rules of spiritual life. Devotees in the intermediate stage strictly follow rules and are fixed in their convictions about devotional service to God. Above all are the pure devotees, who harbor no envy toward any living creature, and who see everyone as a servant of God. "Offering gifts in charity, accepting charitable gifts, revealing one’s mind in confidence, inquiring confidentially, accepting prasadam [spiritual food], and offering prasadam are the six symptoms of love shared by one devotee and another. The art and etiquette of friendships in Krishna consciousness can be best learned from genuine devotees." After the disappearance of Jayananda Das on May 1, 1977, His Divine Grace Srila Prabhupada instructed devotees all over the world to commemorate the event every year as they would any great Vaishnava's disappearance day. Therefore we respectfully submit these pages to all devotees and friends of ISKCON as a means to remember and understand more about Jayananda's devotional service. Of course, we will see how he joined ISKCON and how he left this mortal world. More importantly, we shall see the astounding qualities possessed by a true devotee, a sincere disciple and genuine servant of Srila Prabhupada. Jayananda was the all-American boy. Handsome, strong, intelligent, born in a more than middle-class family, Jayananda (Jim Kohr) took a degree in mechanical engineering from Ohio State University. With a background like that, it is surprising that Jayananda ended up as a cab driver in San Francisco. Karandhara once asked him why he didn't get a better-paying job. "I didn't fit in with the upper class crowd," he said. Always introspective in nature, Jayananda felt empty and unsatisfied within himself during his college years. He would often say that he was "never happy" before joining Krishna consciousness. His depression was almost suicidal when, in 1967, he read a small article in a San Francisco paper, about an Indian Swami who had come to the Bay Area to propagate the chanting of the names of God. Jayananda recalled feeling a "ray of hope" when he read that article. Thinking the Swami may have something to offer, Jayananda made up his mind to attend the Swami's lectures. 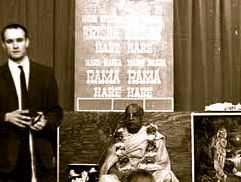 Srila Prabhupada's early lectures in the Bay Area were mostly attended by hippies, and Jayananda was one of the only "straight" people there. Jayananda later recalled that, "I wasn't much of a religionist, but I was attracted to Srila Prabhupada." He was especially fond of attending the early morning lectures because at that hour, most of the hippies would be in bed. On some occasions Jayananda would be the only guest listening to Srila Prabhupada speak from the Bhagavatam. Srila Prabhupada was always fond of Jayananda, and sometimes he would invite his budding disciple to take prasad with him in his room. "Srila Prabhupada would cook prasad and serve me," Jayananda recalled. "He didn't say anything - he just kept feeding me, and I kept eating." Jayananda soon donated his life savings of $5,000 to Srila Prabhupada to help His Divine Grace print the Bhagavad-Gita As It Is. As more and more devotees joined ISKCON in the Bay Area, Jayananda continued to work as a cab driver and supported the Temple by contributing all of his earnings. Chandan Acharya Prabhu remembers this special feature about Jayananda: "He was completely enamored by Krishna consciousness. Even when he'd go out on incense runs all by himself, he would rise every morning before four, have a little mangal-artik, chant all his rounds, read and cook prasad. He never deviated. He loved it. He was completely happy as long as he was practicing Krishna consciousness. "Take prasadam, for example. Jayananda worshiped prasadam. When a little prasad spilled on the floor, he would always bend down on all fours and lick it up. He loved to cook, offer, distribute and eat prasad in a big way. He would always take prasad with him and distribute it, whether he was making a bhoga run (buying bulk foods from the market) or taking a chanting party downtown. He would even say 'prasadam' in a special way that made you immediately want to take some." Jayananda knew how to attract people to Krishna consciousness with the prasadam weapon. When a new devotee came, for example, Jayananda would see to it that he was sumptuously fed with prasadam. When Jambavan Das was just becoming a devotee, Jayananda would bring him a plate of prasadam so big that he thought he could never eat it all. When he finally did finish the plate, Jayananda immediately put an identical plate down before him. "I can't eat that," said Jambavan. "Srila Prabhupada said that we should eat 'til we waddle like a duck," said Jayananda. Jambavan would finish the second plate. Of course, Jayananda himself could be found honoring large quantities of prasad anytime day or night. He was the kind of devotee who would come up to you at ten o'clock with some peanut butter halava and say, "Hey, Prabhu, come here - check this out!" Another example of his attachment to Krishna consciousness is Jayananda's love for kirtan (chanting). Jayananda was always eager to take the whole Temple out on hari-nama chanting parties. He had a special attraction for chanting in the streets. Whether kirtan was held in the temple or in the street, Jayananda could always be seen dancing and chanting enthusiastically. When he was making Maharaja Das into a devotee, Jayananda would visit his house and have big kirtans. Even if there were only two of them, they would jump and chant "Nitai-Gaur Hari-bol!" Also, Karandhara recalls how, one day, after working very hard for ten hours straight, Jayananda suddenly announced, "Hey, it's ten to seven. Let's go to artik." Everyone else was so tired that artik was the last thing on their minds, but Jayananda quickly jumped into the shower and then bounced down to the temple room for artik. Of all the processes of Krishna consciousness, Jayananda was most attached to preaching. Whether it was during the Sunday feast, while making incense runs, or while building Ratha-yatra carts, Jayananda was always trying to find some person with whom he could share his ecstasy in Krishna consciousness. His preaching was very simple and easy to listen to. "We just have to keep chanting and have faith in the Name." "We just have to chant and take prasadam. Srila Prabhupada is so kind to give us such a simple process." Karandhara remembers how Jayananda preached to him on his first day in the temple. As they worked together preparing a little garden for Srila Prabhupada at the old Los Angeles temple. Jayananda said, "You know, things don't always go just right in Krishna consciousness. You have to keep chanting." At the time, Karandhara couldn't imagine how anything could go wrong in Krishna's service. Years later, however, as he found himself still remembering those words, Karandhara could appreciate the real potency of what Jayananda had said. "So many things may come and go. Just have faith in the Name." Jayananda's preaching was very attractive for the non-devotees. Chandan Acharya recalls seeing Jayananda engaged in preaching late one night. It was 11:30, and Jayananda was up fixing a broken-down sankirtan van. As he lay on his back working under the van, he preached to two hippies who were standing nearby. All they could see of him was a pair of legs, but they stood by listening, completely absorbed, as Jayananda worked and preached away. 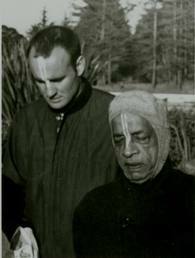 As soon as he felt a person was at all ready, Jayananda would preach to him about chanting and about Srila Prabhupada. There was no protocol or strict etiquette. Just sincere and confidential glorification of Krishna. True to his character, Jayananda was often seen preaching to guests from his wheelchair even during his last days in this world. Devotees who knew him could tell from a distance exactly what he was saying: "You just have to have faith in the Name." Humility was certainly Jayananda's most prominent quality. He treated everyone as his superior, even new devotees. Maharaja Das remembers that Jayananda was always asking his advice: "Hey, Bhakta Mike, what do you think of this?" Although his service was glorious, he never wanted any glory. He avoided praise like the plague. Devotees got to know that if they wanted to be around him, they'd better not praise Jayananda. Otherwise he would simply leave. Once when he was with Danavir, someone came to Jayananda and began praising him. Jayananda just ignored it. Later he turned to Danavir and said, "You know, if you've been around this movement a few years, people naturally offer you some respect." Not that his service or qualities were so great, he just was around a few years was his humble thinking. If he ever spoke about himself at all, Jayananda would speak so humbly that Lochan Das recalls, "It was difficult not to think of yourself as being better than him. If you had any reason to be puffed up, Jayananda would bring it out in you." Feeling himself unworthy, he would step aside so that others could lead kirtan, give classes, or do artik. Instead, he could be found fixing cars, unplugging toilets, washing dishes, or taking out trash. Once a new boy came to visit the San Francisco temple. He wanted to help, so Kesava Das sent him to the trash area where Jayananda was preparing the weekly trash run. Jayananda told the boy, "I'm the garbage man around here. For years I've been watching garbage men carry out trash, and now Krishna is giving me a chance to do this for Him." The boy not only helped load the trash, but accompanied Jayananda to the garbage dump. Later that boy became a devotee, and he recalled thinking, "If the garbage men at this temple can be so blissful, just imagine what the rest of the devotees are like!" Karandhara recalls another incidence of Jayananda's humility. "One day, before Ratha-yatra, I spent the whole day running around with Jayananda. By the time we got back to the temple it was midnight. The whole building was so crowded that we couldn't find any space to lie down. Finally we found room in one little storage closet. I was so tired that all I could do was throw my sleeping bag on the floor and lie down. Then I saw Jayananda walking out of the room. I asked him, `Where are you going?' He said he'd be right back, but I kept pressing him, and finally he explained that he had some rounds of japa chanting to finish up. He didn't want to keep me awake by chanting in our room, nor did he want me to feel bad because he was going out to do something else. He just wanted to slip away to some corner and fulfill his vow. I remember saying, `Sometimes it's not possible to finish all one's rounds because there is so much work to do.' `That's okay, I'm not too tired,' Jayananda replied. I was amazed not only by his consideration for me but by his full submission to Srila Prabhupada." Although perfectly qualified, Jayananda was reluctant to take a post as temple president or sannyasi. It was not that he wouldn't or couldn't do it - he would do whatever was asked of him. He was happiest just to be working under someone. In this way he was the backbone of the Bay Area's ISKCON temple for years. Through frequently changing administrations, he would always faithfully serve the acting temple president. He was very special, and yet no one paid any special attention to him. That was just the way he liked things. Jayananda was always ready to do whatever was necessary to push on Krishna consciousness. He was expert at everything: cooking, preaching, Deity worship, public relations, sankirtan, selling incense, construction, and everything else it takes to run a temple. He was a tireless worker. He would be the first one up in the morning and the last one to sleep at night. It was Jayananda who was always running out to get the flowers, Jayananda who was washing dishes and making sure the kitchen was clean, Jayananda who was often missing class while he was out doing some service, and Jayananda who was always encouraging others to go out and preach, and setting the example himself. Whatever assignment he was given, he would always get done, even if he had to suffer personally for it. No matter how hard he was working, he would never stop for a nap during the day. He seemed to be inexhaustible. Jambavan Prabhu remembers that many times the San Francisco devotees would go out to Berkeley to distribute the leftover prasad after a Sunday feast. "First Jayananda would be in the kitchen cleaning. Then someone would say, `Hey how about this leftover prasadam?' Jayananda would say, `Okay, first let's get this kitchen clean.' He would organize the cleanup crew and then work twice as hard as anybody. Then he would transfer the prasad, load it and the devotees into the van, drive the van to Berkeley, organize the distribution of prasad, and lead the kirtan while we distributed." In later years, when he was with the Radha Damodar Traveling Sankirtan Party, Jayananda would help manage and sustain the traveling bus program and simultaneously do all day sankirtan day in and day out, side by side with brahmacharis scarcely half his age. In spite of his advanced position and seniority, he never asked for any special treatment. Leading devotees would often describe him as "the most advanced devotee in the movement." Those who knew Jayananda always noticed one remarkable quality about him: he could not criticize others. It was against his nature. Even if a devotee did something which warranted criticism, Jayananda would usually say nothing, or else something that made the mistake appear to be perfectly understandable. No matter who was giving class or leading kirtan, he would always appreciate it. He never spoke harsh words or chastised anybody. If one devotee was criticizing another within earshot of Jayananda, Jayananda would simply leave. Rather than criticize others, Jayananda would contribute nothing less than positive Krishna conscious energy to any situation. Sometimes devotees would bring up their expansive aspirations for spreading Krishna consciousness. Jayananda would always encourage their ideas, however extraordinary. At the same time, he was not a fool. He could always pick the right man to do a particular duty. Because he knew how to encourage people, the temple leaders would always assign new men to work with Jayananda. He saw no distinction between new devotee and old devotee. Both were his superiors. He could quickly give a new man a sense of identity and a feeling that he belonged in Krishna consciousness. A true Vaishnava, he was expert at fanning any little spark of Krishna consciousness into a big fire. Few will dispute the claim that Jayananda made more devotees and helped more pull through than anyone else in the movement. Like the Six Goswamis, Jayananda was "dear both to the gentle and the ruffians." He was as much at home with the Italians at the produce market as with the brahmacharis in the temple. He would make friends on street sankirtan, and they would often come up to him and say, "Hey, where have you been?" Once a devotee was approached by a staggering drunk in San Francisco. The drunk looked at his robes and asked the devotee, "Hey, where's my old friend Jayananda?" Many devotees, including Danavir and Chandan Acharya, had the experience of taking over Jayananda's old territory on incense-selling runs or bhoga runs. They would meet people who said such things as, "Where is Johnny Ananda?" or "That man - he's the nicest and most pure man I've ever met." One man told Chandan Acharya, "Well, I don't know much about your philosophy, but if that Jayananda is into it, it must be all right." Once, near the Ratha-yatra cart work site, Jayananda invited Keshava to step inside a bar and meet some friends of his. They walked inside and immediately some 25 faces looked up and smiled brightly. Someone said, "Oh, this must be your friend you were telling us about, the temple president." They presented the two devotees with a sack full of vegetarian groceries which they had chipped in together to buy. Among the devotees, Jayananda was like a big brother, always compassionate and willing to listen to them. But devotees rarely burdened him with their problems. "When you were around Jayananda," said Karandhara, "you had no problems." 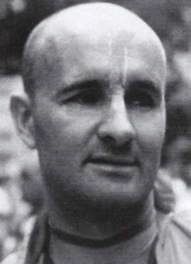 The devotees loved Jayananda and talked about him during long drives on traveling sankirtan. He was dear to them because he had a sense of humor, too. Jambavan recalls being awakened one night at midnight by Jayananda. "Wake up," said Jayananda, "I've got a benediction for you." He then pushed a big samosa into the sleepy Jambavan's mouth. Like Maharaja Yudhisthira, Jayananda's enemy was never born. Jayananda was very eager to see everyone engaged in Krishna's service. He once wrote, "When I reflect on my consciousness had I not had association with devotees and Srila Prabhupada, I shudder to imagine the nightmare I would be in. If we could become a little dedicated to distributing the mercy, so many could be saved so much suffering." Because of his genuine compassion, Krishna gave Jayananda the unique ability to make people want to serve Krishna, directly or indirectly. Whenever a new bhakta would come, Jayananda made him feel that he was engaged in important work. He was older, bigger and stronger than just about anyone in the temple, and everyone was glad to be working under him. He was willing to let people do things their own way, without getting finicky about details - unless somebody's creativity interfered with practical necessity. New bhakta or old, everyone felt satisfied after a day's work with Jayananda. This was especially evident during Ratha-yatra time. Jayananda would organize a crew of cynics, bloopers, uncooperative personalities and non-devotees off the street to build the Ratha carts. Although many of his men sat down for a smoke during breaks, he would get them to work 10, 12 or 14 hours a day. He was always glorifying others and working hard himself. In fact, he worked harder than anybody else. All those qualities made him very inspiring to work with. Moreover, there was something very personal about Jayananda that made everyone want to help him. Once he and Maharaja Das were struggling to load a heavy refrigerator on a truck. Two drunks were walking up the alley, and Jayananda said, "I'm going to give them a chance to do some devotional service." His enthusiasm for devotional service was usually contagious, and this was no exception. Those drunks were right in there helping, and the job was done in no time. Afterwards, as usual, Jayananda said to the drunks, "Now say Hare. Now say Krishna. Now say Hare Krishna." "Hare Krishna." "Jai, Hari-bol! Thank you fellas. All glories to Srila Prabhupada!" Jayananda was well known as a transcendental miser. He hated to spend any of Srila Prabhupada's money. Personally he had almost no possessions, even during his years as a householder. When he was on the road selling incense he would sleep in the car or on a bench, or sometimes with friends he'd make in various cities. Many of these friends, such as Maharaja Das and Jiva Das, later became devotees as a result of Jayananda's preaching. Jayananda would use his personal charm with people to get them to give everything free or at a discount for Krishna. Without spending huge sums of money, he would personally collect nearly all the bhoga, flowers, lumber, paint, and everything else needed to put on Ratha-yatra each year. One year there were hundreds of devotees at the temple to feed just before the festival. Jayananda went to see one of his famous friends at the produce market - Banana King Louie. He came back with four free truckloads of bananas and first-class pineapples. Coupled with some donated milk products, the devotees ate bananas, pineapples and cream - as much as anyone could eat - all for free. Jayananda would get almost anything done for free, such as printing, advertising, and mimeographing for Ratha-yatra publicity. What he couldn't get for free, he'd get at a discount, and when he paid he'd get his money's worth. For example, after the festival would end, he'd rent a big truck with which to haul all the equipment back to the temple. Although the devotees would be exhausted after weeks of hard work, he'd insist that everyone come out and help pack things away, lest he have to keep the truck another day and pay another $50 rent. Although he was a senior devotee and could have had anything he wanted, he always dressed in old dhotis and work clothes which he'd buy for one dollar per set at the Salvation Army thrift store. Jayananda was the backbone of the Bay Area Ratha-yatra for years, and his experiences at each one are summarized in the 1977 Ratha-yatra edition of Back To Godhead magazine. Behind the scenes, Jayananda was doing everything in preparation for each festival. He would beg food, flowers and funds, buy materials and build the carts, advertise, arrange for permits, and organize the cooking and serving of prasad. Although things always went right down to the wire, he would consistently succeed in fulfilling all his plans every year. After the festival, Jayananda personally brought a prasadam cake or pie to each and every person who had helped in some way or another. Because of his efforts, the devotees in the Bay Area enjoy, to this day, an amazingly harmonious relationship with the city officials. During the weeks before the festival, Jayananda would sleep at the site where the Ratha carts were under construction. He would rise every day at 4:00 A.M. without fail, even if that meant he was getting only three hours sleep or less. To keep his crew enlivened, he would cook fantastic prasadam on a tiny gas stove at the site. The preparations were always carefully offered, and each was filled with so much bhakti that the temple devotees would sometimes sneak down to the cart site just to get some. "Somehow I got the good fortune to work on the New York Ratha-yatra. It was such an auspicious opportunity. Prabhupada was coming, there was finally a first-class center in Manhattan, and somehow Toshan got an O.K. to use Fifth Avenue for the parade route. Jambavan was here and we had a couple of other boys who worked very hard. I was praying that somehow we could just get the carts finished. Somehow by Krishna's grace it worked out. You wouldn't have believed some of the events. The night before the festival, Saturday, at about 5 or 6 P.M., we were raising Balaram's dome and it was at the top when a huge gust of wind caught it and blew the whole thing over. The framework was all busted, the tubing twisted, etc. I didn't see how we could rectify the situation as there was so much to do on the other two carts. But two devotees who are expert builders vowed they'd somehow get it back together. I had some extra pipes, etc., and they worked all night and by Krishna's grace all three chariots were at Fifth Ave. and 59th St. by 6:30 A.M. Sunday morning." "There's no place like New York for Ratha-yatra. The parade was tremendous as was the scene in the park. Even when we pulled the carts back to the construction site people would come out of their apartments and bars and chant Hare Krishna. I guess that occasion was the perfection of my career in Krishna consciousness." Jayananda said of Srila Prabhupada, "I knew he didn't want to cheat me so I wanted to work for him." In his dealings with Srila Prabhupada, Jayananda kept his usual low profile. 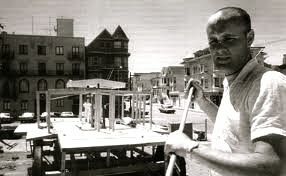 He was generally off working on some project when Srila Prabhupada came to San Francisco. Their relationship was, therefore, as Karandhara describes it, "one of old friends," or "very economical." That is to say, Jayananda did not go in for long meetings with Srila Prabhupada, even when all the other temple leaders were doing so. By way of reciprocation, Srila Prabhupada would invariably call for Jayananda when he arrived in the temple. Sometimes he would have to make repeated requests, and when Jayananda was finally located, he would resist, saying, "No. I can't go to see him. I'm too dirty. I'm too fallen." He'd work after festivals and let others see Srila Prabhupada. 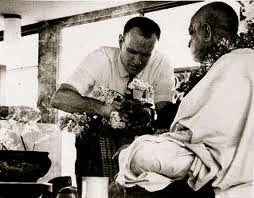 Thus Jayananda's relationship with Prabhupada was always one of service. Service to Prabhupada was the core of Jayananda's life. Once Danavir asked him, "How does one make spiritual advancement in Krishna consciousness?" Jayananda answered, "I don't know. I'm too busy working to think about it." "I was very happy to get your recent letter. I am always thinking of you and praying to Krishna for your advancement in Krishna consciousness. Yes, I remember the old days in San Francisco. Krishna has been so kind upon me to have sent so many sincere disciples to help me push on this movement on behalf of my Guru Maharaja. You continue with your program there in San Francisco, always strictly keeping our principles and Krishna will bless you with greater and greater realization of the importance of this movement. I am dependent upon you, my older disciples, to carry it on. I hope this meets you well." Jayananda's final meeting with Srila Prabhupada took place in New York City at the 1976 Ratha-yatra. When Prabhupada arrived at the airport, Jayananda drove the car to pick him up. Prabhupada was sitting in the back seat and he asked, "Who is driving?" The devotees said, "This is Jayananda." "Oh, I know Jayananda," said Prabhupada. "He gave me $5,000 to print my Bhagavad-Gita." Jayananda was not only big and powerful in body; he was strong with faith in Krishna. Therefore nothing could frighten him. Once on San Francisco's Market Street, Jayananda was playing mridanga and leading a kirtan party when, down the street, an enormous man appeared. He was at least seven feet tall and weighed perhaps three hundred pounds. His unkempt beard and drunken appearance indicated that he was an old veteran living in the bars off his pension. As he approached the kirtan party, the temple's reserve kshatriyas, Keshava Das and Guru-kripa Das, readied themselves for a fight. Sure enough, the monster marched up to Jayananda, turned, and began to shout, "Stop that chanting!" Jayananda looked him straight in the eye and said firmly, "Just chant Hare Krishna! Just chant Hare Krishna!" To everyone's amazement, the drunk simply turned and walked away without a scrap. "I was out of the hospital for a month going to the clinic, and now I am back for a couple of weeks of intensive treatment. Actually, the whole thing was a real blessing as it made me realize that death is right at hand. Somehow I need these potent reminders to help me advance in Krishna consciousness. For the time I was in the temple I was appreciating Krishna consciousness so much more than ever before, so it's been a real blessing." Even in his last few months in L.A. temple, Jayananda never succumbed to fear or self-pity. When his old friends would come to his room and see his withered form and ghostly appearance, they would find it hard to talk their way around his condition. What Jayananda communicated, on the other hand, was complete disinterest in the whole subject of his health. Instead he was scheming how to put on Ratha-yatra in Los Angeles. Sitting on the lawn in his wheelchair, looking like death personified, Jayananda could not stop thinking and talking about Ratha-yatra. Karandhara remembers looking at him from his desk. Jayananda was there, the epitome of Krishna consciousness and fearlessness of death. Karandhara thought it odd that he didn't feel any great pity or remorse for Jayananda. Then he could understand that if Jayananda was so Krishna conscious, how could anyone look at him and not also be Krishna conscious? Jayananda pushed on the Los Angeles Ratha-yatra until he was so weak that he could no longer pick up the phone and call old friends to ask for donations. Factually he collected a large amount of laxmi and devised the various means by which the festival could take place. The festival managers will readily admit that, without Jayananda's presence, the first Ratha-yatra festival in L.A. would not have taken place in 1977. Thus he proved that by engaging in devotional service, one transcends even the fear of death. That Jayananda passed away while Srila Prabhupada was still on the planet is not insignificant. In this way, Srila Prabhupada was able to confirm to all of us that "everyone should follow the example of Jayananda." Certainly those who knew Jayananda should take it upon themselves to preach about his qualities of humility, eagerness to serve, equanimity, and devotion to Krishna and Prabhupada. We offer our humble obeisances to all such devotees who understand these qualities and try to share them. We offer our humble obeisances unto His Divine Grace Srila Prabhupada and to Sri Srimad Jayananda Prabhu, the exemplary teacher of devotional service in Krishna consciousness.